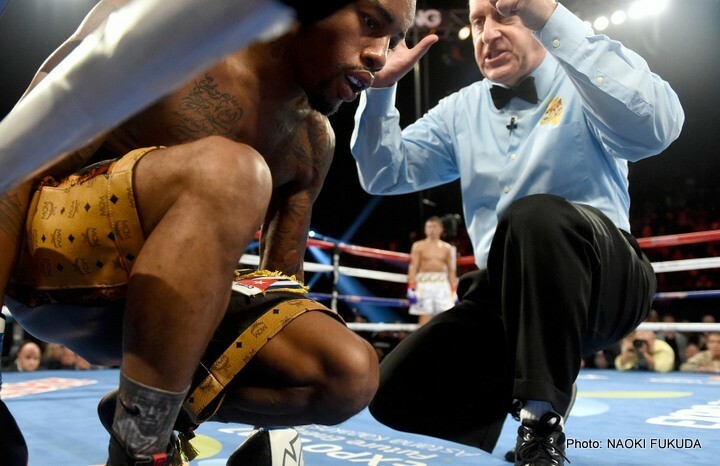 Although he was floored three times and stopped in the 6th round in his world title challenge to Gennady Golovkin earlier this year (muttering the words ‘I’m done’ to ref Jack Weiss), former Boxcino tournament winner Willie Monroe Jr still impressed a few people with his performance, displaying some slick southpaw skills and impressive movement, tagging the Kazakh knockout artist more than is healthy at times, thus leaving many ringside to say – if only he had carried the power to gain Golovkin’s respect? Maybe, just maybe the Kazakh would have been in the first real trouble of his career? Either way, it was clear after the fight that the New Yorker can come again, and in his latest chat with thaboxingvoice.com, Monroe alluded to a tentative Fall/Autumn return that he hopes may lead to an undercard spot on Golovkin’s October unification fight with French-Canadian banger and new IBF champion David Lemieux. “We haven’t been told a network or fight date or anything. We just been told late September, early October. That’s enough for me because I live in the gym. If you stay ready you don’t have to worry about getting ready.” he said. Previous boxing news: Parker annihilates Tupou!